Welcome to my writing blog. This is a work in progress. In this blog I will work on my craft and find my voice. I will add new short stories often and post them in the Short Stories. Check every week for more. 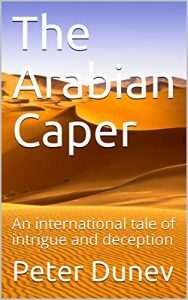 Last year I published my first novel, The Arabian Caper, on Amazon. I recently published my second novel, The Wayward Marine, on Amazon. I also have a couple of other novels in the hopper that I’ve been working on. More on this later. In addition, I have another blog (Phoenixflight.org) where I talk about cars and occasionally discuss other things, that don’t belong in this blog. Enjoy it and come back often.